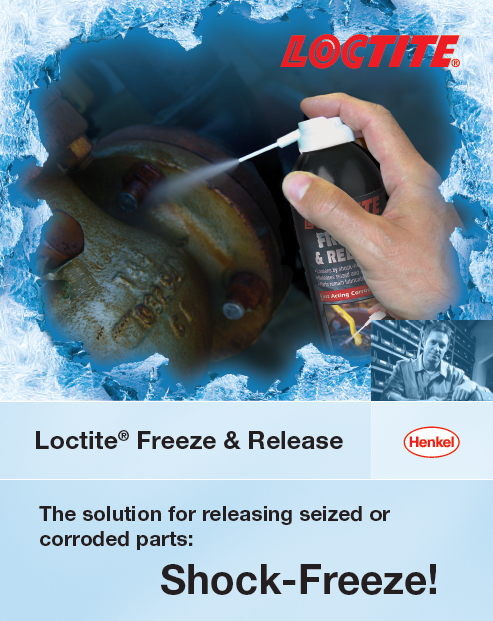 Shock freezing, -45ºF (-43°C) is a quick and convenient method for releasing seized and corroded parts. It provokes differential thermal contraction of the parts due to the abrupt, nearly instantaneous freezing. Cracks opened in the layer of rust allow penetration of the lubricating ingredient. Capillary effect* achieves fast and efficient wicking of the lubricating ingredient into thelayer of rust. *Capillary effect is the ability of liquids to wet freely the surface of objects and wick very quickly into hairline cracks (even up a height against the force of gravity).